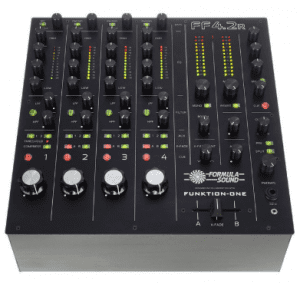 Compact and powerful, this unit has an integrated audio interface and provides you with two main channels and deck sections as well as additional volume control for samples. It’s a great way to rock a party, whether you’re plugging in a laptop or (soon available) a Traktor on your iPad via iOS. Eight RGB-lit performance pads and the all-new Mixer FX give you plenty of room for creative interludes, and a microphone port for addressing your crowd. The jog wheels allows for beatmatching, scratching and smooth spinning. 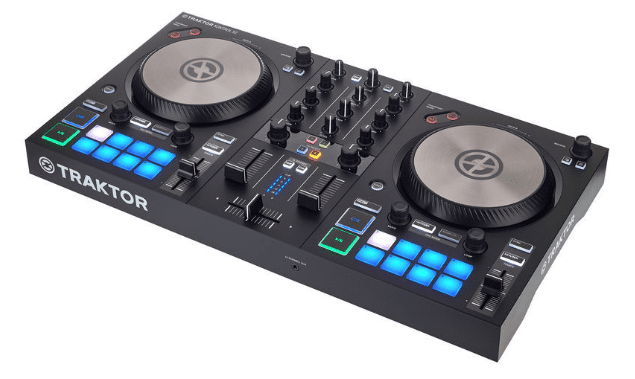 To top it all off the new Traktor Pro 3 software is included. The SC5000M is a luxury media player for digital DJs, the epitome of design, workmanship, operation and high quality sound. Dual Layer lets you play 2 tracks simultaneously, with separate RCA audio outputs. You can also go out directly via the 96 kHz, 24-bit digital outputs. A special highlight is the direct drive, illuminated turntable for a real vinyl feel. The 7-inch touchscreen is super practical and, thanks to its multi-core processor, the internal prime engine automatically analyses tracks that are fed via 3 USB ports or SD card. 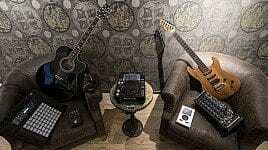 Hotcues, loops and settings are stored by the processor directly on the media and can be played with 8 performance pads. The SC5000M can even accommodate exotic audio formats, such as OGG-Vorbis and of course high-res files up to 192 kHz and 32 Bit! 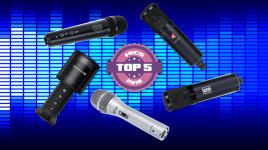 In the club, at home or on stage – the SC5000M impresses! 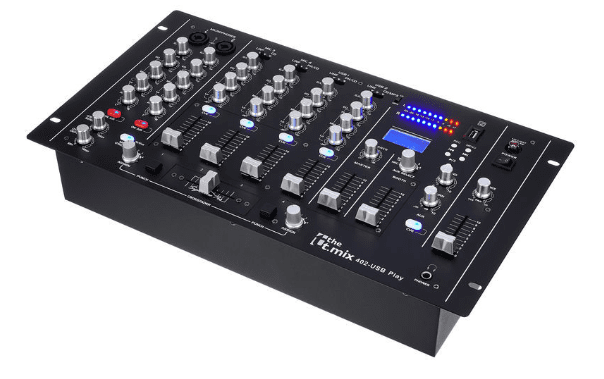 This 4-channel mixer is as sturdy as they get. 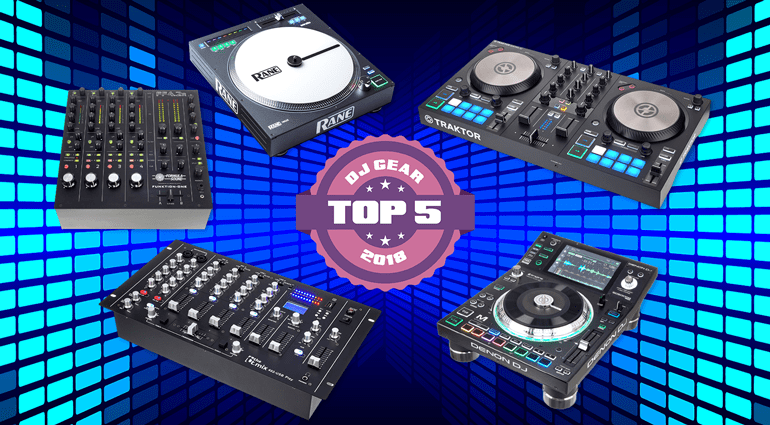 And with its potentiometer knobs for volume control, instead of the typical faders, you get to put more elbow grease and style into your DJ set. Each channel can be manipulated separately with high- and low-pass filters and its LED Meter display is classic and as practical as always for professionals (and amateurs) out there. This mixer is serious business! 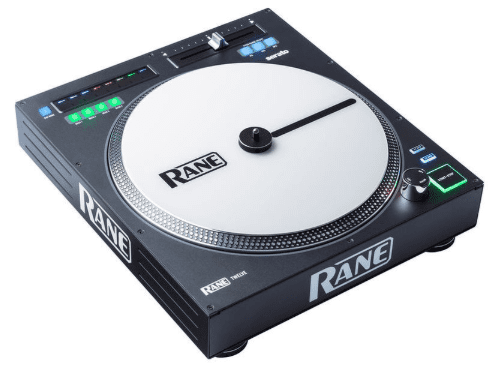 Digital Power: For scratch DJs and turntablists using Serato DJ, RANE has designed a state-of-the-art drive that gives a true vinyl feel when playing digital files. A 12-inch motorised plate with adjustable torque, 3-step pitch fader, responsive start/stop button, and Serato control buttons give you all the tools you need. As with a turntable, you can turn off the motor and slow down the “disc”. The enclosed white acrylic control disc has a black mark, so you’ll keep track when scratching. 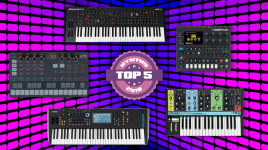 With the Strip-Search you start the beats without much effort using 8 cue points and up to 4 virtual decks can be controlled. Turntablism is back, this time in the digital age. 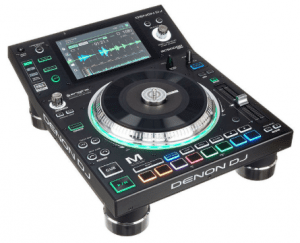 Mobile DJs, rental companies or users who want to screw their mixer into a transportable rack should take a closer look at “the t.mix 402-USB Play“. The 4-channel mixer is equipped with 4 CD/line connections. You can connect 2 turntables and 4 mics, and the console also has a digital interface. If you want to play tracks from your USB flash drive, you can easily use the USB port and controls. You can even record the mix digitally! On the back, you’ll find 2 more USB ports for your computer. The 3-band EQ and Effect Loop let you get in on the action. DJs will also appreciate the extra booth output and the ability to use 2 pairs of headphones. Great features at a low price! 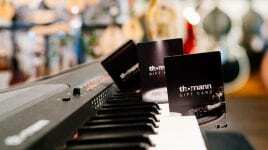 Review our products & win a Thomann voucher! 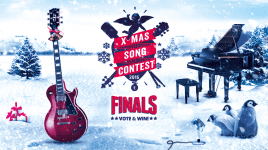 Vote & Win! – your opinion matters!